It has been proven that genetic diseases such as hypertension, hyperlipidemia and diabetes have an increased risk if a first-degree relative such as a mom, dad, sister or brother is affected. It is even true that patients with a first-degree relative affected by one of the genetic diseases must be screened at early ages and even more frequent intervals. Mental health disorders and addiction are no different: They also have a genetic component, predisposing someone to have an addiction or mental illness. As always, environmental factors also play a role, but for some, mental health and addiction may be unavoidable. “Epidemiological studies strongly suggest that genetic factors operate at all steps of addiction, including vulnerability to initiation, continued use and propensity to become dependent. Twin studies have been popular to investigate the relative contributions of genetic and environmental factors. … Numerous large twin studies for alcohol-related behaviors have consistently shown that heritability of alcohol abuse and dependence ranges from 50 percent to 70 percent. A similarly high heritability also is seen across other alcohol-related behaviors, including heavy consumption and ‘problem’ drinking. Meta-analysis of the twin studies shows that both genes and environment are important in smoking-related behaviors. … For example, twin studies suggest that nicotine and alcohol dependencies share more than 60 percent of their genetic vulnerabilities,” according to a well-known study. So if addiction and mental health are genetically inherited, how do you break the cycle of addiction in families? Unfortunately this a common issue but this problem does have solutions. With the right environment and lifestyle, addiction can be avoided in families, even if a parent is an alcoholic. It is true that experimenting with drugs and alcohol begins at such a young age now but it is important for children and siblings or addicted loved ones to form strong friendships with others who live a stable and healthy life. In addition, having positive adult role models such as teachers and coaches is important for seeking advice and keeping a level head. The main issue is that children of addicted families have to realize that they want out of the addiction cycle and need to take an active role to get out. Unfortunately, children, depending on their age, may not be emotionally or mentally mature enough to recognize this in order to escape the cycle. After all, the frontal lobe of the brain, which is responsible for mature decision making, is not fully developed until 25 years of age. Therefore, it is easier for adult children to recognize the importance of escaping addiction. Below are a few key points to help break the cycle. If you feel threatened by a loved one, let them know. Get the authorities involved if you feel unsafe and lead loved ones to resources that may be helpful for them. Know that your loved one’s addiction is not your fault. It is true that a bad childhood shouldn’t equate to a bad future. There are a multitude of inspirational stories about people who broke this cycle. “By the time Donna Gamble turned 13 she was a drug addict and a prostitute, just like her mother. Today, she is a fiercely determined survivor who has emerged as a powerful voice in counseling members of the Cree Nation and others about how to triumph over addiction.” Gamble is just another regular person who was born into a life of addiction. Although you cannot help the environment you are born into, remember you can help the outcome of your future if you are equipped with the right tools. It is never too late to break the cycle of addiction. 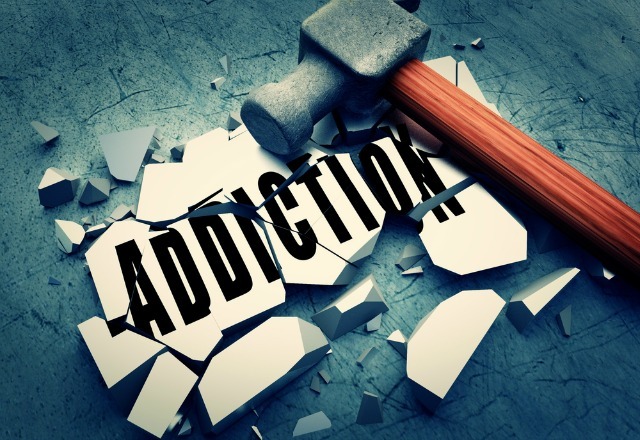 The Sovereign Health Group believes in breaking the addiction cycle. We offer programs nationwide that help to combat substance abuse, mental illness and co-occurring disorders. For more information visit the 24/7 helpline.